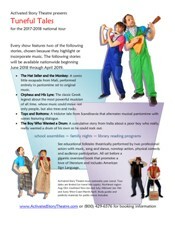 As part of our multicultural theatre tales, from time to time, we are pleased to offer our dramatization of a Jewish folktales, suitable for all audiences. This story provides a sample of the rich treasury of Jewish folklore, emphasizing character building, optimism, wit, charm, family ties, and a respect for heritage. Plus, it is just plain fun. Something From Nothing is a story about resourcefulness – about the ability to make something useful from nothing or at least from very little. 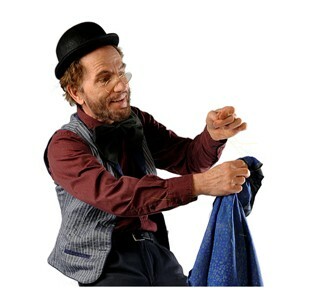 In it a grandfather uses his skills as a tailor to make a blanket for a child, and as the child grows, the grandfather repeatedly fashions it into something more useful. And each gift serves as a bond to unite the generations and transmit positive values.